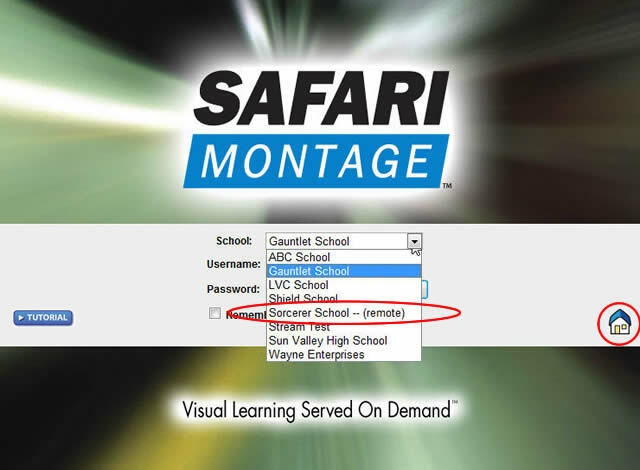 SAFARI Montage Managed Home Access (MHA) is an add-on-module that allows users to access the district's SAFARI Montage server from home. With the Managed Home Access module, teachers and students can access content, create playlists and upload them for later access when back in school. In addition, districts with the SAFARI Montage Creation Station® module can upload and share their own content to allow students and parents to view from home. Note: If the SAFARI Montage Media Player is not installed or is not the latest version, the user will be prompted to download the latest version prior to logging in to the SAFARI Montage MHA server. Videos encoded as H.264 (streaming video) are the only video types available for viewing on the MHA server. Note: Pre-packaged SAFARI Montage content is provided in the required format; however SAFARI Montage Creation Station video must be properly encoded for streaming. 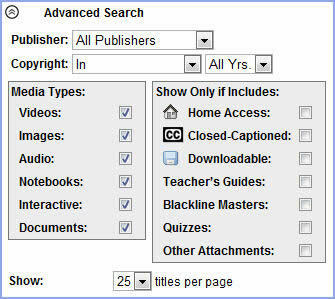 Home Access Rights, set by teachers and administrators, determine who can view what content on the MHA server. Alternate-language tracks are not available via MHA. The media player will not display the Multi-language button. Shared content may take time to appear for MHA access as your SAFARI Montage system synchronizes, particularly with Remote School Servers. Check with your Network Administrator for the frequency of server synchronization. Accessing SAFARI Montage MHA works in the same way as if the user were accessing the SAFARI	Montage server at their school. Users can easily identify whether they are accessing the MHA sever by the Home icon on the log in page. Note: The Network Administrator will provide the user with a URL. Users use the same credentials at home as they do at school to access MHA. Open your MHA server by using the URL (web address) obtained from your Network Administrator or school personnel. Select your 'School' from the School drop-down box. For Remote School users, schools will be designated by '(remote)' next to the school's name in the drop-down box. Please remember to log off when finished as MHA supports only one session per user account and users will be locked out if they fail to logout. Note: The server will automatically lock reset the user account after a period of 15 minutes. Since SAFARI Montage MHA is just like using the SAFARI Montage server in a school, all the associated help is the same. Please refer to the appropriate help section for your help needs. There are five user types associated with SAFARI Montage MHA access, including an MHA-specific Parent user type, and MHA access rights may be different from home vs. school. For SAFARI Montage Creation Station content, MHA access rights are set by user type when content is shared (see below). When using MHA, there are a few search filters that have changed. Added to the 'Show Only if Includes' filter is 'Home Access.' Selecting this filter will only return content available for Home Access. Removed from the 'Show Only if Includes' filter list is 'Spanish' as alternate language tracks are not supported on MHA. When creating SAFARI Montage Creation Station content for MHA, there are a few considerations to keep in mind. Search and locate your SAFARI Montage Creation Station content to change permissions. Click the 'Rights Management' tab. Enable Sharing by checking the 'Share' checkbox. If required, refine access permissions by selecting 'User Types' from the 'Grant Permissions To' drop-down box. Enable/disable User Types for 'Play At Home access by checking/unchecking the User Type checkbox. Encoding Best Practices - When creating video content for use with MHA, it must be encoded as H.264 and hinted (for streaming). A guideline for encoding practices can be found by visiting http://www.safarimontage.com/support/ and clicking the link 'Encoding Guidelines for SAFARI Montage Creation Station and Managed Home Access', located under Documentation -> SAFARI Montage Creation Station.